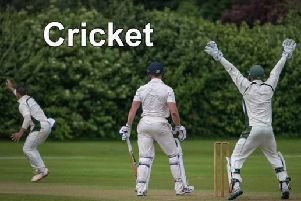 Skipper Martin Hodgson claimed six wickets as Graves Park returned from Heckington with victory in the South Lincs and Border league Division One. Hodgson claimed his victims for the loss of 13 runs as the hosts were dismissed for 60. Jack Ashton (3-10) and John Morris also did damage with the ball. In response, the Park secured a six-wicket success as they reached 61-4. Mitch Griffiths top-scored with 23, aided by Joe Gilbert (11), Ashton (10) and Lewis Skinner (10). Graves Park sit second in the table, 35 points behind leaders Belton Park but with two matches in hand. They are without a fixture this weekend.